IAmLearn's Dr. 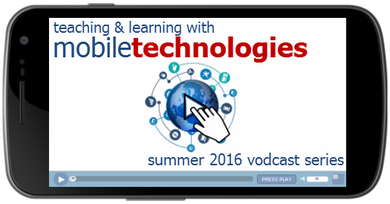 Rob Power chats with experts from the International Association for Mobile Learning in this series of live (15-20 minutes each) vodcasts covering topics about Teaching & Learning with Mobile Technologies. Feel free to tune in for the live broadcasts at the dates and times listed, or view the recordings anytime afterwards. Pre-registration is not required.